These days, humans rely on their cell phones on a more and more frequent basis. Cell phones—and for that matter, other mobile devices—not only help us to communicate with our loved ones, but also provide up-to-date information on our surrounding. 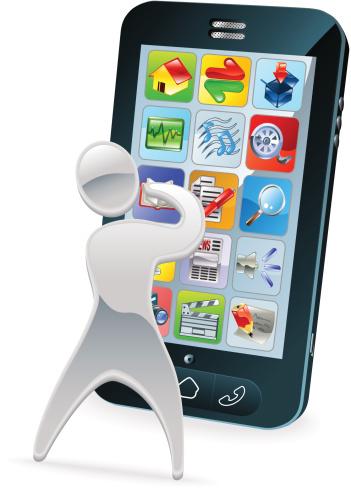 Over the past several years, the use of mobile phone apps has become especially popular. While there are a number of ways in which these apps can be used, maintaining safety while on the road is perhaps one of the most important. According to Overdrive, Car Net mobile app may be one of the best options for those who are concerned about their safety while behind the wheel. Slated for release in conjunction with the release of 2014 models of Jetta, Passat, Beetle, and other automobiles, Car Net is marketed as an “in-car system that offers a number of convenience and diagnostics features.” Namely, Car Net offers roadside assistance, automatic crash alert, destination assistance, and a number of other important services. Though these features can be easily accessed through the mobile device, they are also available on the website and even in the vehicle itself. INRIX Traffic is another effective mobile car app that may help to save your life in the case of an emergency. As suggested by the name, INRIX Traffic app is specifically designed to provide information about a number of traffic-related situations—and can offer help when it comes to comparing various traffic routes or predicting rush hour motorist slow-downs. In addition, INRIX can provide app users with up-to-date information about vehicle crashes, thus allowing them to choose alternative routes for their daily commute. Through these services, INRIX app users will not only be able to save time, but may actually avoid dangerous driving situations. Choosing a mobile car app can often be a difficult process. Though there are a great number of these services available to the public, they often come at a high price—and may not always be worth the exorbitant fees that are charged for their use. Individuals who are thinking about the purchase of mobile car apps should be sure to review the product in question before making a final purchase. Speaking with others who have used the specific app can often be effective when it comes to making an educated decision. Lately, we have heard more and more about the dangers of distracted driving. Driving while distracted is not only dangerous for the person operating the vehicle—but also for other men and women on the road. Though mobile car apps are typically designed to increase the safety of drivers, when used in an inappropriate way, they can result in vehicular accidents, serious injuries, and even possible death. Drivers should be sure to exhibit care and caution during the use of mobile car apps to maintain their safety and that of all other drivers on the road. Is there a car app that you know about or would recommend? If so, share your comments below.